Today we present to your attention a rather unexpected trouble. What do we mean by these words? When the stack of constructing the bar - It is logical when the table turns into LAK a children's play table - It's predictable. And when we will offer you make banquette with storage compartment of the lamp, you're probably very surprised. 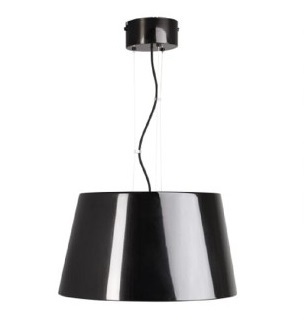 The hero of our today's rework - hanging lamp in a series of products KULLA. To rework them, we need two. The first thing we cut the top and bottom of the banquettes. They are parts perfectly round, so stock up in advance the necessary tools. 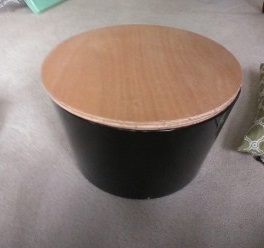 Carefully make all measurements to cut parts correspond to the diameter of the lampshade lamp. After the items are cut attach them to lamp KULLA and verify the correctness of their actions. The next step is upholstery the edges of the lampshade. This will make future banquette more soft and comfortable. The material can be used upholstery felt or sintepon. 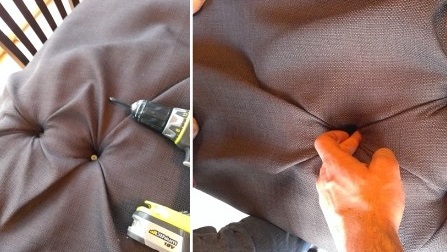 Fix the upholstery can with glue and furniture stapler. 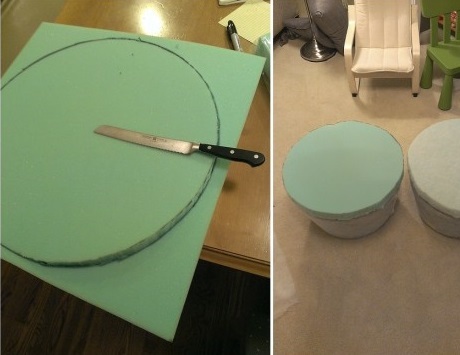 Then take a piece of foam and cut out again perfectly smooth circle, as far as possible. 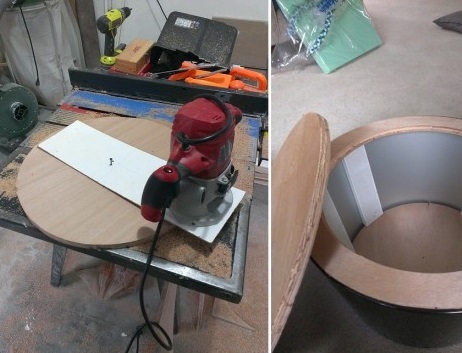 Attach the foam to our "lampshade" with a special durable adhesive for bonding wood products. 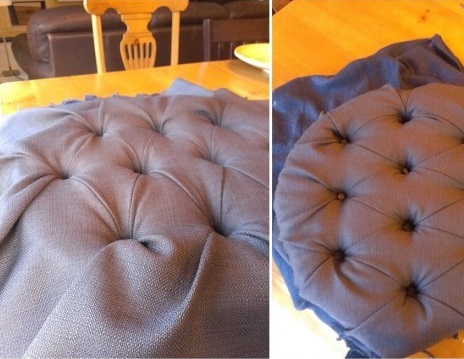 To top upholstery banquettes take a thick cloth of any color you like. 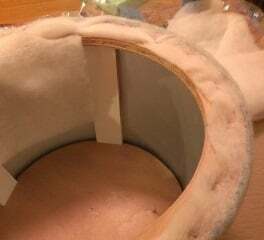 In order to get the upholstery as in the picture, we use a technique called "Capito" the essence of this technique is recessed in the upholstery buttons. Nuances of performance art "Capito" you can easily find on the Internet. However, you can use any other technique decor furniture. Note upholstery should have not only removable part upholstered banquettesBut also its own frame. Tip: from the remaining tissue can sew small interior pads. 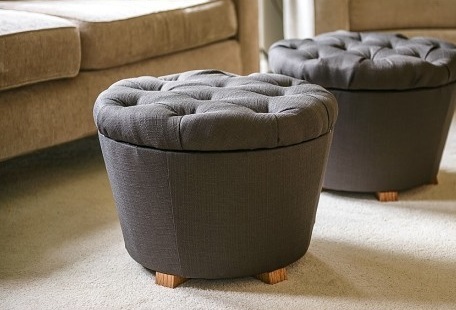 These stylish ottomans, they will decorate your interior. To me personally they have taken to heart, and I am pleased to make such sebya.Ostalos only two obazhura buy. But I've been wondering, these ottomans yet more decorative or they can be used for its intended purpose? I would love to those made for the bedroom or nursery. They are simply breathes comfort.